Camso, formerly Camoplast Solideal, becomes a Supporting Sponsor of the AMA Championship Snow Bike Series. 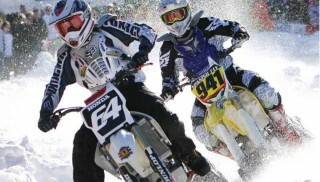 “The AMA Championship Snow Bike Series is a official winter sport race, managed by Big Nasty Hillclimb, LLC (BNHC). We’re proud to support this group in a shared effort, between industry manufacturers, avid motorcyclists, and various winter venues which support motorized activities,” says Bruce Dashnaw, Sales and Marketing Director – Powersports at Camso. 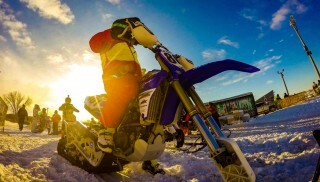 The Snow Bike Series consists of nine events in seven US states. Riders are challenged by a motocross-inspired half-mile track made up of turns, jumps, banks, whoops and dips. 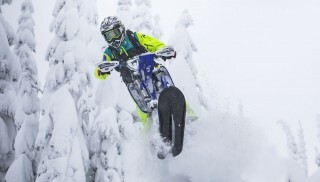 The events draw spectators and fans of powersports, motorsports and winter action sports, living in areas of the US where winter powersports are a significant part of local life.